Can science do anything? Patrick Dalton used it to settle a difference with his mother. Then he created a hypothesis and a methodology. He lost. But the point is, he asked questions and tested his assumptions. 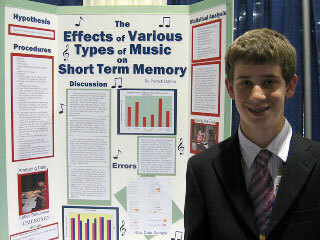 Dalton was one of more than 1,000 high schoolers from more than 45 countries participating in Intel’s International Science and Engineering Fair 2007 in Albuquerque, New Mexico. He spoke with PodTech’s Jason Lopez.